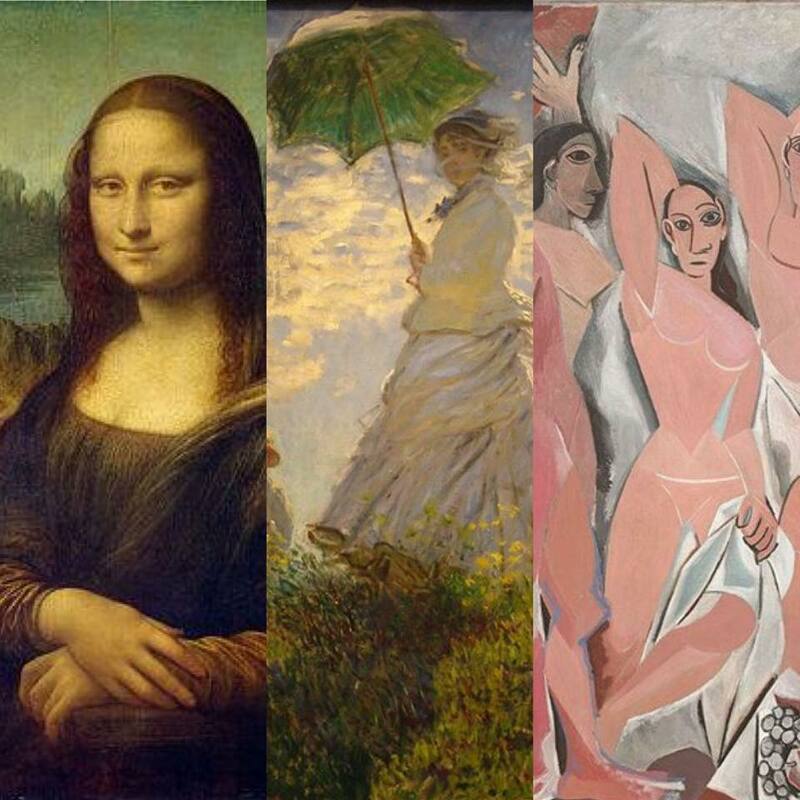 Three examples of images from the Western art history canon: the Mona Lisa by Leonardo da Vinci, Le Promenade by Claude Monet, and Les Demoiselles d’Avignon by Pablo Picasso. These paintings, artists, and movements (High Renaissance, Impressionism and Cubism, respectively) have all been extensively explored in art history. Oh – this is a tough but great question! It’s tough because there are just so many areas of art history that haven’t been properly explored. There are certain “popular” areas of art history that tend to get the most amount of attention in scholarship. These areas usually adhere to the Western art history canon. For those who aren’t clear on what I mean by “the Western art history canon”, I will explain: a canon is a widely accepted list of “great” works within a field such as literature or, in this case, art history. These works basically define the entire field of study. The Western art historical canon, although it’s changed over the years, consists of the most famous works and those widely seen as “genius”. You can recognize these works because they’re talked about the most, studied the most and reproduced the most. If you study art history in university, you will mostly study it based on the canon. This canon, of course, largely excludes certain groups of artists – mainly non-Western or female artists. One easy way to answer your question would be to say that any art that lies outside of the canon has not been properly explored. But I will give you some more specific topics below. Keep in mind that this list just reflects my own opinion and experience – while it’s true that all of the art history topics listed here need more research and scholarship, everyone of course has different opinions on what is worth focusing on and what isn’t. Any art style, movement or artist that originated outside of Western Europe or the United States. Most of art history focuses squarely on Western Europe and the post-colonialised United States (Native American art gets very little attention in mainstream art history). Outside of these regions, the areas that have received the most attention are – arguably – Australia, China, Japan, and to some extent Mexico (thanks to Frida Kahlo and Diego Rivera), although these countries all deserve more attentiveness and understanding. 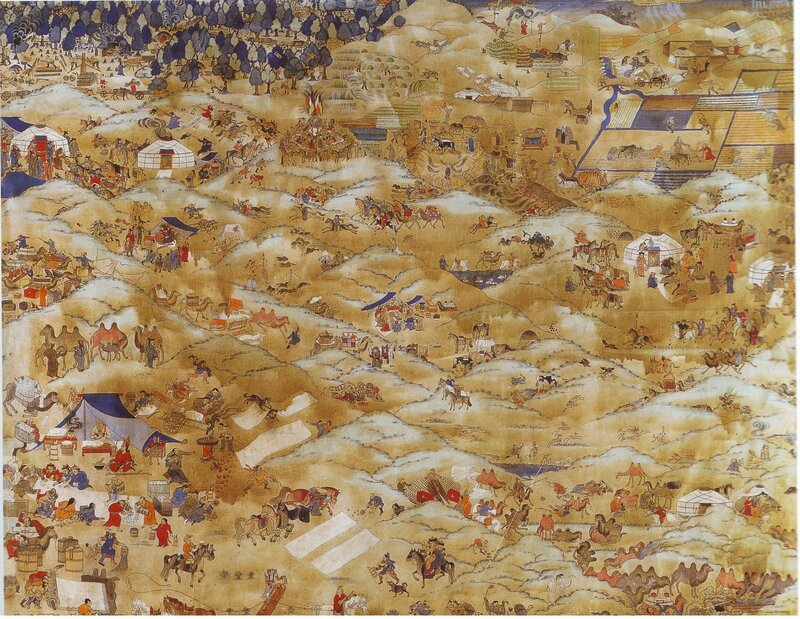 One Day in Mongolia by Mongolian painter Baldugiin ‘Marzan’ Sharav, one of the most famous paintings in Mongolia and done in the zurag style – a word most Western art historians will never have heard. Any country outside of these, though, is practically unknown in mainstream Western art history. During my university degree I took several courses focused on French or Italian art, but not a single one looking at any country in Africa, Eastern Europe or South America. There are of course art historians in every country researching their own cultural roots, but this scholarship rarely makes it outside of the country’s borders in any significant or widespread way. I was alerted to this subject in my Honours year, when I wrote one of my essays on a frame surrounding a Pissarro painting in the Art Gallery of New South Wales. Frames are one of those things that you never really think about until it’s pointed out to you, and then it forever changes the way you experience museums. A moulded golden plaster frame from the 19th century. 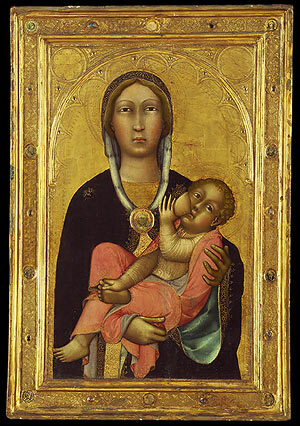 Consider, for example, getting an old 16th century Italian painting into your museum. It’s not in its original frame, because very few original frames from that exact era or location are still around. Most paintings will be in cheap mass-produced frames from the 19th century – these are the big golden frames made from plaster you usually see in museums. 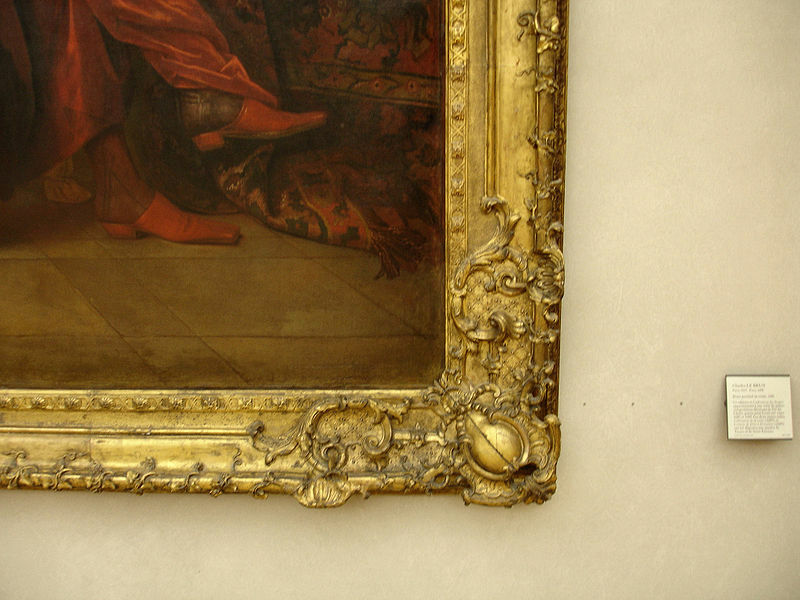 So, what do you do: keep it in the frame it’s in – which is, after all, part of the painting’s history – or try to find a frame that matches the original (which may be impossible to find)? This is a dilemma facing many museums today. Seeing famous paintings in their original frames may completely change the way they are seen. While we’re used to seeing Impressionist paintings in golden frames, for example, many of them were originally displayed in simple white frames, which was a conscious aesthetic choice by the artists to distinguish their paintings from the standard mass-produced gold. More research and attention devoted to this topic would greatly improve our understandings of artworks and the importance of their display. The deconstruction of the art history canon. This is a field of art history that I find particularly exciting, and I would love to see more thought and research go into it. A lot of art historians all over the world have already dipped their toes into this field, by doing research that challenges the canon. This includes exhibitions on female or non-Western artists, or research that challenges the idea of Low vs. High Renaissance, or papers exploring the tenuous borders between art movements such as Realism and Naturalism. What these studies do, however, is not deconstruct the canon, but expand the canon. They don’t challenge that fundamental way of looking at art history through a relatively narrow set of single artworks, or defining certain artworks as “great” and more worthy of study. I’m interested in this topic because so few art historians have seriously thought about what it would mean to get rid of the canon completely. Is it possible? Is it desirable? It is necessary? I have a lot of thoughts on this, but that’s a post for another day! Very thought provoking response! I would think it could be difficult to study art work from the Renaissance periods that fall outside the canon simply because much of the art may not exist anymore – not preserved in museums or other private collections – because of its lack of perceived value. I hope this is not true. Is it possible to see some examples? I love your blog! I work on a similar Art History but Accessible/Feminist one, The Female Gaze (also on WordPress) and am always struggling with what to write since my own passion lies in 19th century American vernacular photography. It’s a constant (though good) struggle to question why I love it so much while also just loving it. So your post like this helps me consider what in that sub field isn’t yet researched.